And the point goes to Sweden! 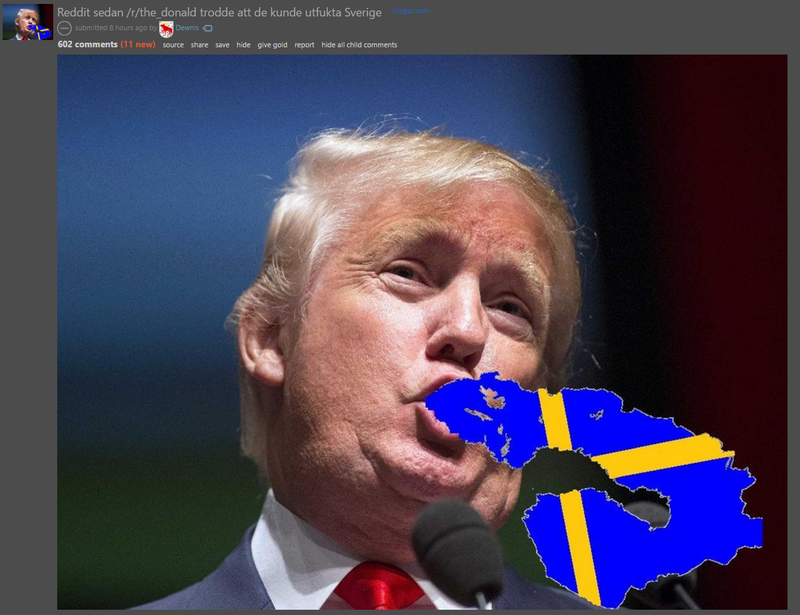 Yesterday, Donald Trump suffered an embarrassing defeat in a most unlikely place — Reddit — as a veritable army of Swedes armed only with fuktiga mejmejs (dank memes) sent Trump supporters cuck-cuck-cucking back to their headquarters in r/The_Donald. How convenient that it is Memeday here on We Hunted the Mammoth. The feud started on Tuesday when a Trump supporter posted a map of Northern Europe in r/The_Donald with a crude picture of what the Brits like to call “meat and two veg” scrawled over Sweden and Finland. 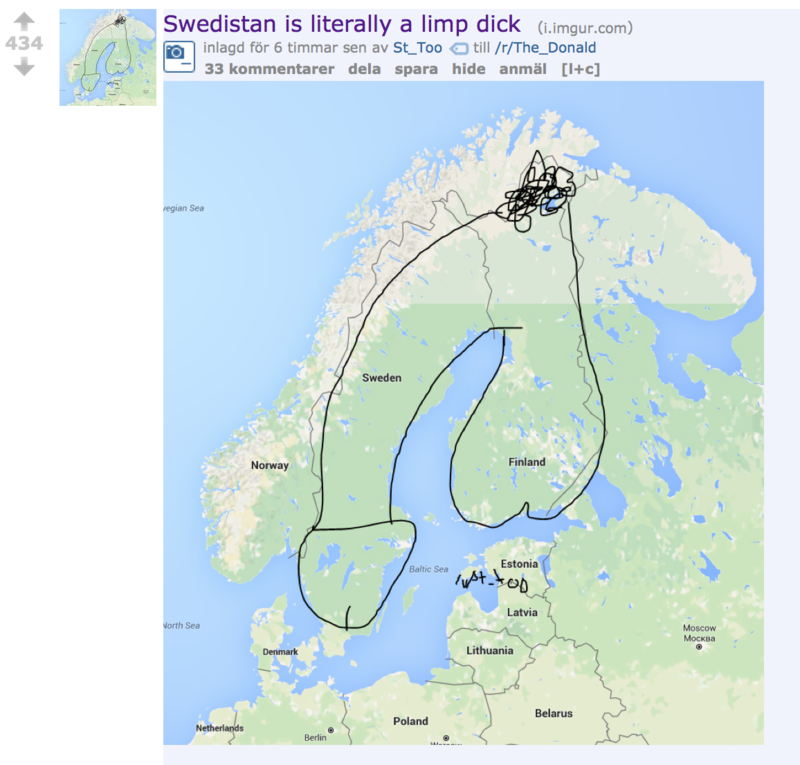 Some of the inhabitants of r/Sweden (known as Sweddit) decided to respond with some artwork of their own. Eventually the Sweddit mods decided they needed to get some sleep, and temporarily closed the subreddit to new submissions, more or less bringing the war to a halt. 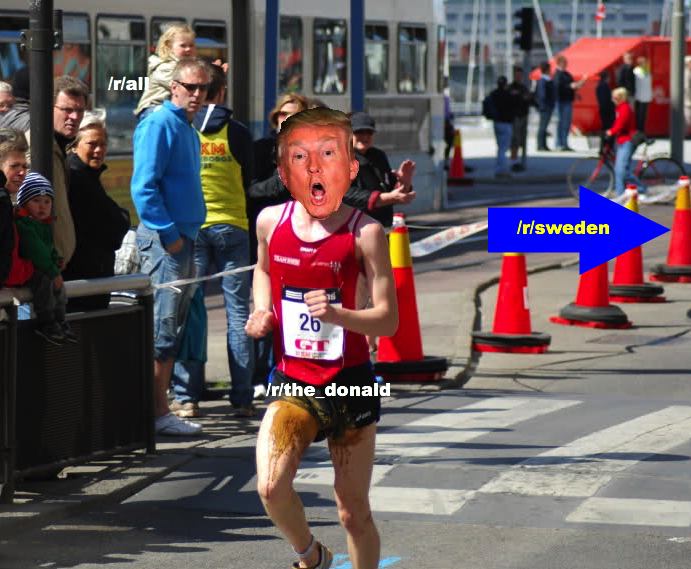 Pretty much everyone outside of r/The_Donald thinks that the Swedes won the day. You can find more detailed descriptions of this little war here (in English) or here (in Swedish); the Sweddit mods reflect on what they call The Borkening here. The Swedes and their allies put forth a vast quantity of memes — some clever, some a bit, er, problematic, and some of them in Swedish. Here’s a selection of my favorites from that first category. 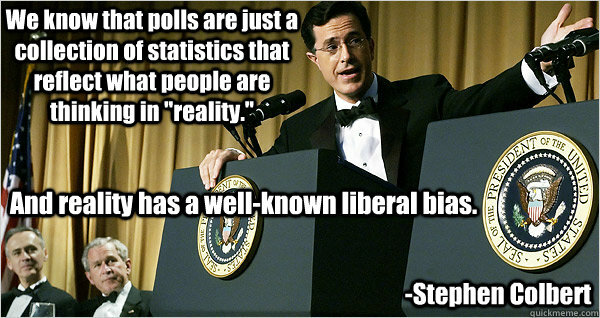 More than a few mocked Trump supporters’ weird “cuck” obsession. Some mocked how quickly The_Donald resorted to banning people. And the Swedish Chef did his part. More Memeday to come later today! It says a lot when the very “Nordic master race” Trump’s extreme supporters love so much mocks and rejects them. It wasn’t behind a paywall for me, perhaps due to AdBlock or NoScript? He changed his mind after enrolling in Sociology classes and being unable to defend his ideas against the teachers and other students, as well as being confronted with actual research showing how the patriarchy is responsible for men’s limited gender performance. I’m really confused about the breeding with angry grey aliens stuff, that and the candy in the toilet pic. Are these posters ten year olds?